Eight teams of principals and teachers gave up their§Saturdays to help improve education for students§experiencing homelessness or high levels of student§mobility due to poverty. Their education contexts§covered elementary, middle and high schools in rural,§small town and city environments. 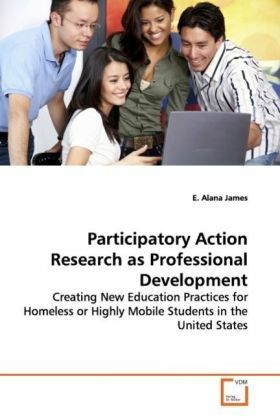 This study covers§both their use of participatory action research (PAR)§as professional development and their learning§outcomes pertaining to this highly vulnerable§population of students. Findings include the§efficacy of PAR through which diverse participants§co-create mutually rewarding results. New education§practices for students developed in three main areas:§1) access to education services, 2) welcoming school§culture, and 3) flexible instructional strategies. §This study concludes that networks of local teams aid§each other s study of the tough issues in education§because the PAR approach creates a holding§environment that mediates the stress caused by§addressing complexity. This study will be useful to§anyone interested in PAR as professional development,§homeless education or addressing complexity in schools.